Want to be an expat but don't know where to go? Let’s face it. More often than not, the main driver for making a major life decision, such as moving abroad, is a new opportunity. Rarely do we hear stories of adventurers who actually have the courage to pack their bags, pick the next flight on the terminal flight board, and live in a different country without a care in the world. No. For the well-organised, even the thought of doing this can still be a cause of stress. In our last lifestyle blog, we looked at the best places for expats to retire. But what about particular types of expats, such as those who are just starting a career or a family? Single expats in search of new friends and stories to tell their grandchildren? Young professionals looking for better career opportunities? HSBC has just released the results of their latest Expat Explorer Survey, where nearly 10,000 expats shared their perspectives on living in 100 countries around the world. The survey used three major criteria in determining the ranking of the best countries to live in: (1) 'Economics', such as income and satisfaction with the local economy; (2) 'Experience', which includes the working environment, healthcare, and entertainment; and (3) 'Raising children', including the quality and cost of childcare and education, among others. Let’s take a look at the top five best places to live as an expat, according to HSBC’s Expat Explorer Survey, going in reverse order. In recent years, the Middle East has become a very popular destination for expats from all over the world. Although the environment is less tolerant than western norms, career opportunities are never lacking, especially in the Persian Gulf region. In recent years, Bahrain, which ranks fifth in HSBC’s survey, has received a lot of foreign workers and tourists, making it easy for new expats to settle. In fact, the survey found that Bahrain is the second best country on the list in terms of Experience, perhaps a key criterion for young professional expats. Germany ranks fourth in the overall survey but third in both the Economics and Raising Children criteria, making it a good expat destination, particularly for families. The country has always been a major player in international political and economic affairs, and expats who are passionate about history can get a much better understanding of the country’s fascinating past. However, some expats sometimes find the country’s serious and orderly reputation and approach to life challenging. The cost of living in Germany, especially in the major cities, is also a major consideration. China’s major strength is its economy and, this, coupled with its less competitive job market can make it a good destination for a career-minded expat. Those used to a Western lifestyle can be amazed how far their income can go, and may find themselves living a much better lifestyle than back home. However, China ranks 12th and 26th in terms of Raising Children and Experience, respectively. This should come as no surprise: China, specifically Beijing, has serious environmental issues that need to be addressed as they have major implications for the population’s health. In contrast to China, competition in Singapore for the best employment opportunities is very high, with 53% of expats saying job security is a challenge. Compared to its Southeast Asian neighbours, such as Indonesia, Malaysia and the Philippines, Singapore enjoys a very stable and sustainable economy, despite having very few natural resources of its own. The country also has very high healthcare and education standards, which is ideal for expat families. However, because of the highly competitive working environment, work-life balance can be poor, and socially-oriented expats may not find Singapore very accommodating. Switzerland almost always tops polls of countries to visit, live in or retire to. 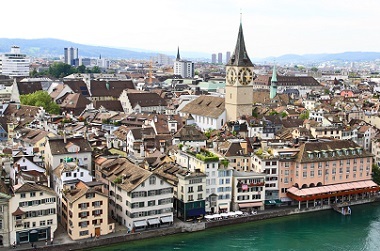 The very high cost of living doesn’t stop expats from wanting to move here: They are drawn by world leading healthcare standards, high quality of education, economic and political stability and high income (wages in Zurich and Geneva are the highest in the world). Expats will also not suffer a lack of entertainment, as there lots of activities to enjoy all year round. We are all driven by different reasons and criteria to book a one-way ticket to a different country and start a new life. But whatever the reason (career, family, or just a change of scenery), careful planning is always sensible, especially of finances. One should also consider one's tax position in the new home, as tax obligations do not simply end when addresses change. If you are thinking of becoming an expat, talk to us.